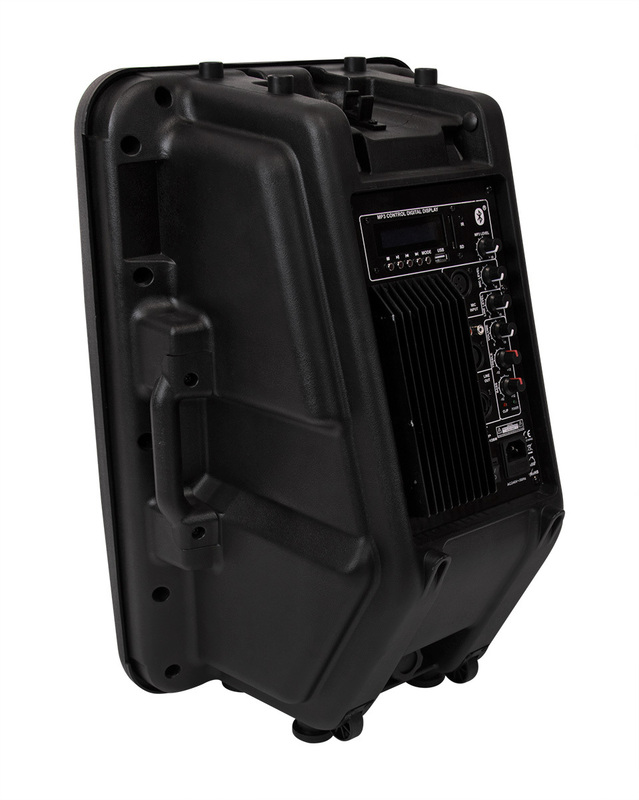 The PAJ-12BM is SWAMP's all-round workhorse PA speaker, with a bi-amped design and Bluetooth connectivity. 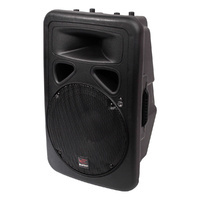 Featuring direct inputs for microphones and line level audio signals, 2 band EQ control, 180W of power in a monitor / foldback option speaker box. 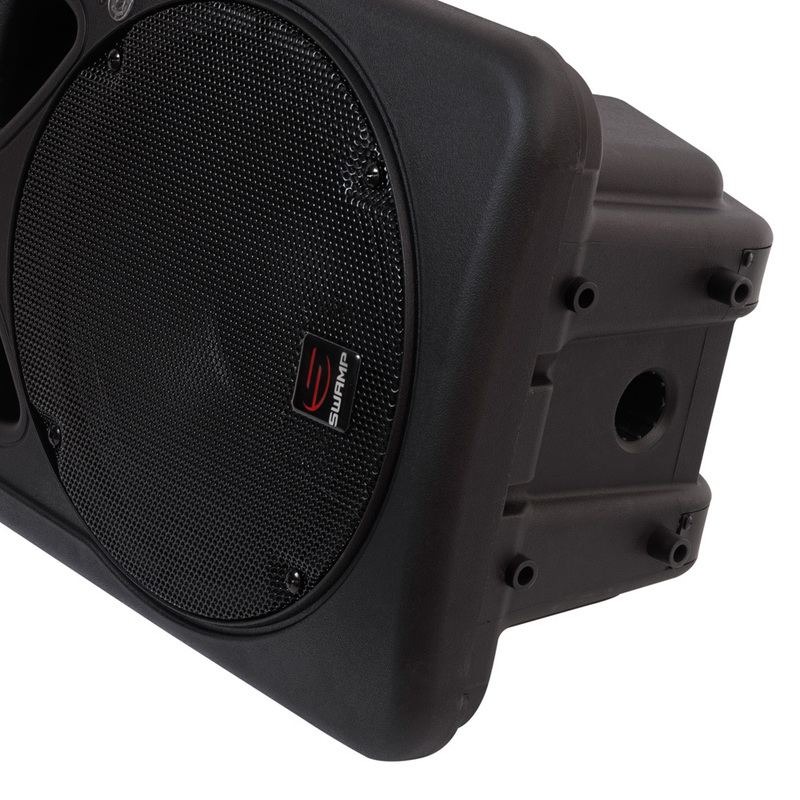 The PAJ-12BM is SWAMP's all-round workhorse PA speaker, with a bi-amped design that delivers a clear, rounded, full range sound. 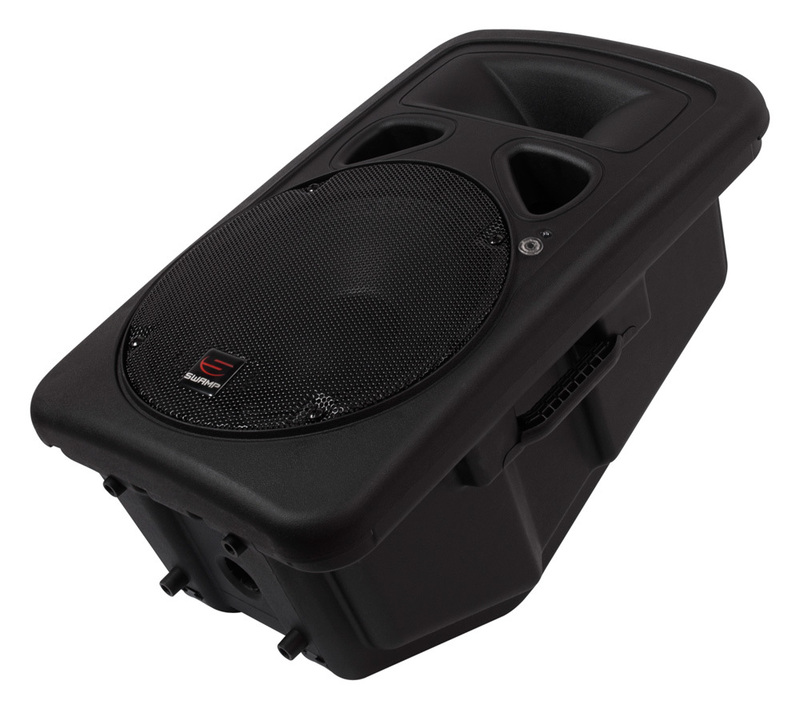 Featuring direct inputs for microphones and line level audio signals, 2 band EQ control, 180W of power in a monitor / foldback option speaker box. 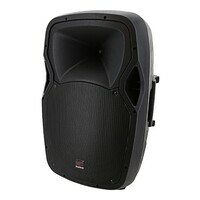 The PAJ-12BM delivers power of 180W RMS (bi-amp configuration), 250W at peak levels. 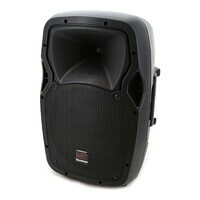 A pair of PAJ-12BM offers plenty of thump for pub and club gigs, up to 120 people, suitable for bands or DJ's. 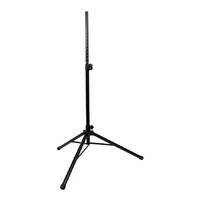 Mounts on all standard speaker stands. 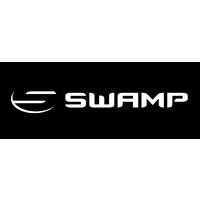 SWAMP's PAJ-BM power speaker range features Bluetooth connectivity for wireless control of your audio playback. Simply activate bluetooth on your Smartphone and select the PAJ-BM for instant playback of your phones audio. 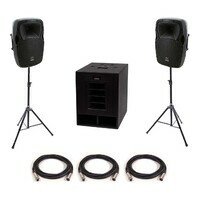 Perfect for lining up music to play before and after a set. 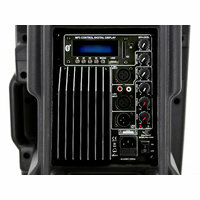 The module also allows for a USB flash drive or DS card to be used for MP3 playback. Built with a bi-amped configuration that utilises two individual amplifiers to power the woofer and the tweeter separately, making the amplifiers much more efficient resulting in more volume per watt. 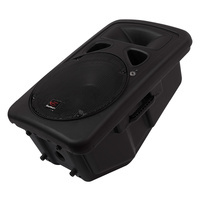 Using a carefully designed crossover (splitting of frequencies between the Tweeter and Woofer) ensures a clear mid range and present, but non-piecing top range. 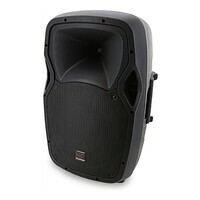 All the while layered with a fat bass sound from the 12" woofer, that can be EQ'd to your preference. 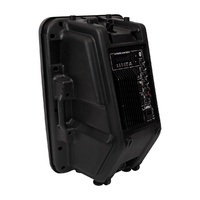 A slanted speaker box design allows the PAJ-12BM to be used effectively for stage monitoring applications. 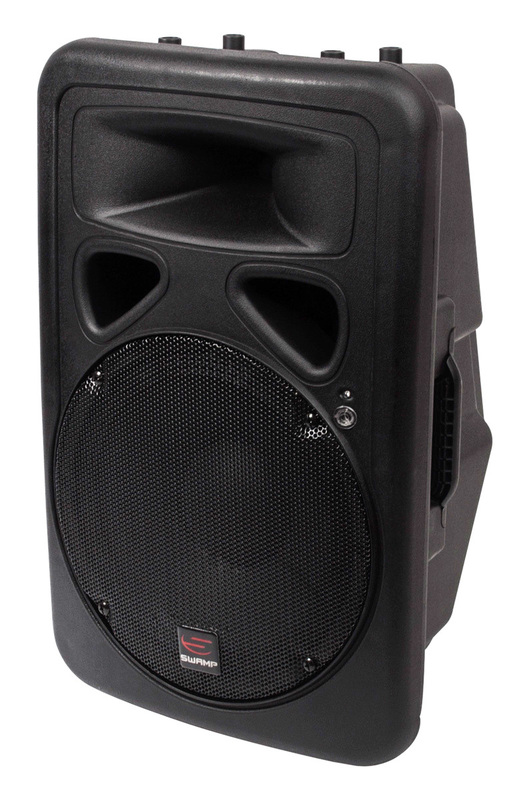 A precise mid range and flexible EQ control to ward off unwanted feedback, the PAJ-12BM is sure to keep those stage musicians happy. 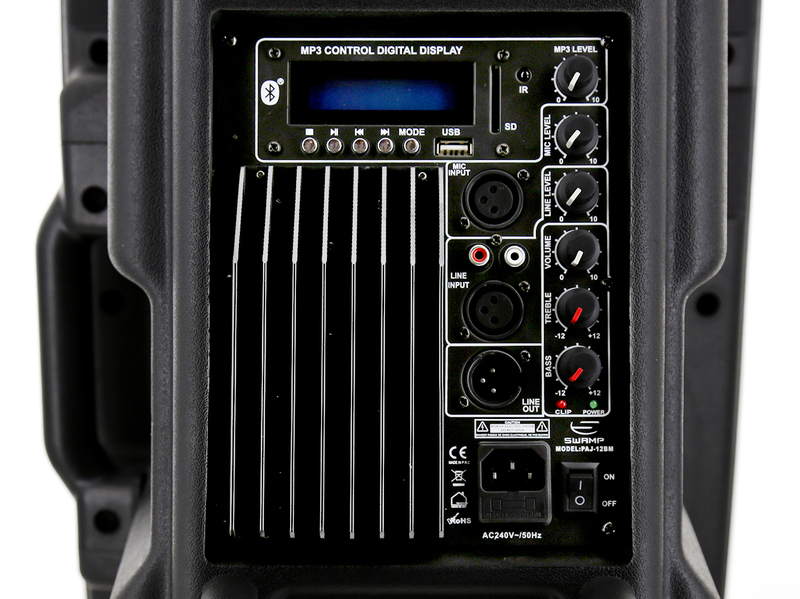 The inbuilt mixer module makes it possible to connect a microphone via a XLR or 1/4"connector. A decent preamp and gain control supports the sound of your microphone. 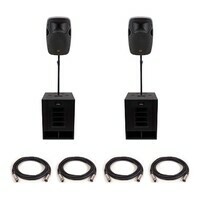 Dual RCA inputs are included to connect a DJ mixer or CD player. Balanced XLR and 1/4" Line Inputs enables a line level signal from a mixer to be sent to the speaker, and the Line Out outputs gives to option to daisy chain the signal onto another speaker.